November 4, 2016. 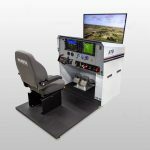 HNZ Group Partners, Montreal, Canada has received Transport Canada approval on their Frasca built AS350 Level 7 Flight Simulation Training Device (FSTD). The FSTD is convertible between three different configurations of the aircraft including the AS350B2 analog instrument panel, the AS350B2 VEMD instrument panel and the AS350B3e VEMD instrument panel. The Frasca device is the first Level 7 FSTD certified in Canada. 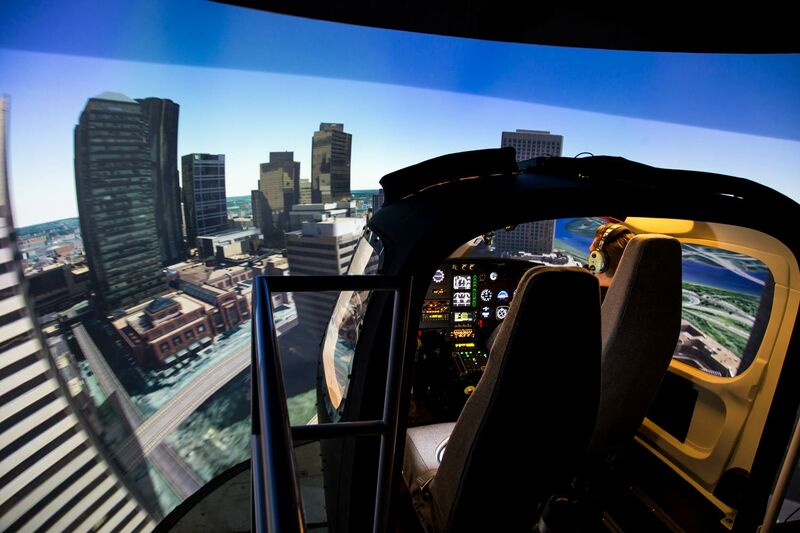 While HNZ has used simulation training for its twin engine aircraft for many years, the implementation of synthetic training for current AS350/H125 series aircraft represents a deliberate and significant step in improving the safety of single engine aircraft. 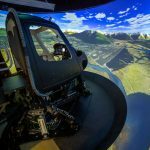 Features of the FSTD include FRASCA TruVision™ Global visual system with projection display in a totally enclosed spherical screen (200° x 70° field of view). Databases including the Edmonton area and specialized training scenarios at various locations in Canada will be provided. The FSTD also includes a vibration platform, Simplicity™ IOS, and cargo mirror simulation. The FSTD and classroom facilities are located in the Main Terminal building of the Edmonton International Airport. The Device will be used as part of a Transport Canada approved training program for HNZ Group pilots as well as being available for dry or wet lease by other helicopter operators.The FSTD will be available for demonstration flights at the Edmonton Airport during the HAC (Helicopter Association Canada) convention, November 11-13. 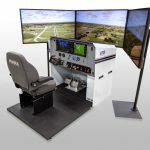 A demonstration slot can be requested by emailing; simtraining@hnztopflight.com. “It is gratifying to see Level 7 approval on this innovative project with Canadian Helicopters. 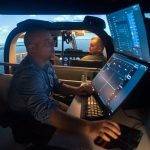 Incorporating this advanced FTD into their program will enhance training and improve safety. This program should become a model for other helicopter operators throughout the world. We also see great potential to expose simulation and aviation safety to the general public as result of the simulator being located in the Edmonton International airport.” stated John Frasca, President of FRASCA International. HNZ Group Inc., through its subsidiaries, has been a helicopter operator in Canada for over 65 years and light helicopter operations constitutes a significant portion of hours flown. Western Canadian crews are currently trained at the company’s facilities at EIA. HNZ Group employs over 60 AS350 aircraft in its fleet throughout Canada, Asia-Pacific and Antarctica and is pleased to expand on the flight training community at EIA with this acquisition. operations.